Rememory (film, 2017). A 2017 Canadian-American science fiction drama film with "PG-13" rating by Lionsgate Premiere. Directed by Mark Palansky. Official Trailer. 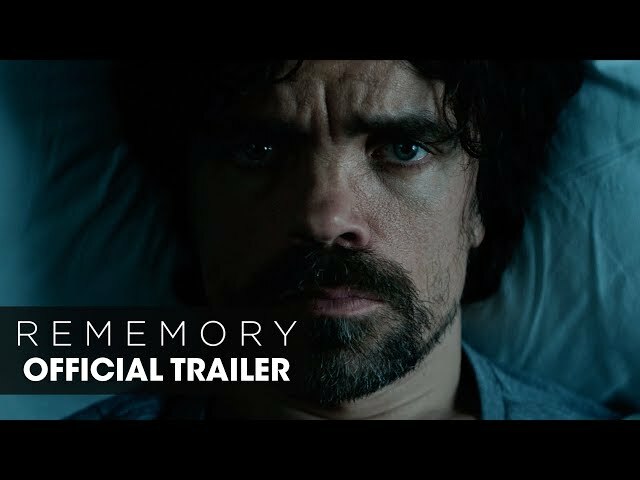 Rememory is a 2017 Canadian-American science fiction drama film directed by Mark Palansky. 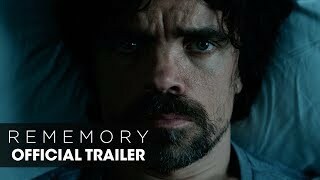 REMEMORY (2017 Movie) - Official Trailer - Peter Dinklage, Anton Yelchin. Sam Bloom (Peter Dinklage) and his brother are driving in the night when their car collides with another, causing his brother's death. After a year, scientific pioneer Gordon Dunn (Martin Donovan), who creates a technology that allows one to extract memories and watch them on an external device, mysteriously dies and Bloom sets about trying to solve the murder using this memory machine. As the investigation continues, a web of intrigue and deceit is uncovered. Bloom learns that Dunn's device has a technical fault which causes side-effects leading to recurring hallucinations on its users including him, and that most of the users have been quite upset with Dunn, directly blaming him for their mental deterioration. He also finds out that Dunn and his wife Carolyn (Julia Ormond) were separated after they lost their only daughter in an accident. When Carolyn finds Dunn's memory recordings, it is revealed that Dunn committed suicide after realising his invention had caused nothing but pain and misery in the lives of the users. He does so by attempting to erase his ongoing memories while still connected to the device. Meanwhile, Bloom re-watches his "accident memory" and finds out that the Dunns were in the other car and that their daughter was killed in the collision. Bloom hands over his memory to Carolyn as a sort of confession apology, but she doesn't watch it and instead throws into the sea with Dunn's recordings as she watches her daughter playing on the water - a hallucination resulting from her own use of the memory device. Principal photography began on January 25, 2016, and ended on February 22, 2016. The film Rememory was scheduled to be released by Lionsgate Premiere on January 25, 2017 (Sundance Film Festival), on August 24, 2017 (Google Play), on September 8, 2017 (United States) and on November 8, 2018 (Germany). The duration of the film is 111 minutes. The film grossed over $36,379. Rememory got low rating from critics. The audience dislikes the film either.